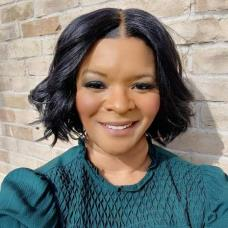 Charlondra Thompson, a member of Keller Williams Urban Dallas, is a licensed real estate agent who is dedicated and committed to going above and beyond for her customers. She has a passion for helping both buyers and sellers meet their real estate dreams. Charlondra holds memberships with the Texas Association of Realtors, National Association of Realtors and Metrotex. She is a life-long resident of Texas that has her roots firmly established in Oakcliff and the surrounding communities, granting her an in-depth knowledge of the local real estate market. She understands the market, the economics of buying and selling, and the importance of leveraging technology and all the tools available to get the best results for her clients. "I want to bring my own experiences and understanding to my clients and help them realize their purpose of buying or selling their home or investment property. It is my goal to take a seemingly complicated process and make it not only understandable but profitable as well.” Let Charlondra help you open the door to your new home!